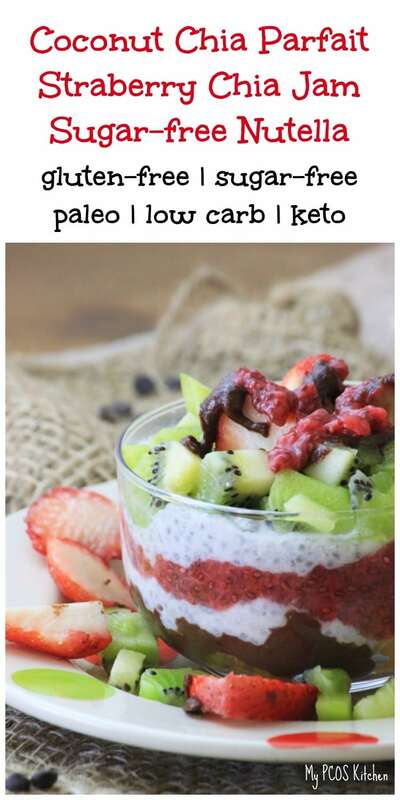 Why eat plain chia pudding when you can make a parfait! 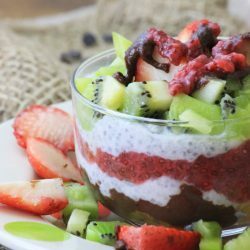 I’ve recently shared a recipe for Sugar-free Nutella and a recipe for Sugar-free Strawberry Chia Jam that I used to make this parfait. 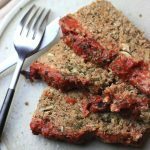 I really love playing with chia seeds as you can add them practically anywhere you want! I used coconut milk for this recipe and the combination of the fruits and the sauces altogether is to die for. I got the kiwis, strawberries, and oranges from a weekly fruit and vegetable basket that I order from an organic website here. 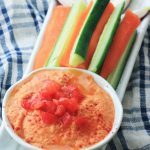 They taste so delicious so they were perfect for this breakfast a.k.a. dessert. Basically heaven on earth parfait. Open a coconut milk can and transfer it into a tupperware. Add the chia seeds and stevia powder and mix well. Close the container and refrigerate for 4 hours-1 day. This should make about 2 cups of coconut chia pudding. Peel the orange and kiwis. Dice the kiwis and slice the strawberries. Add 1/4 of the orange in 4 different glass bowls. Top with 2 tbsp of nutella. 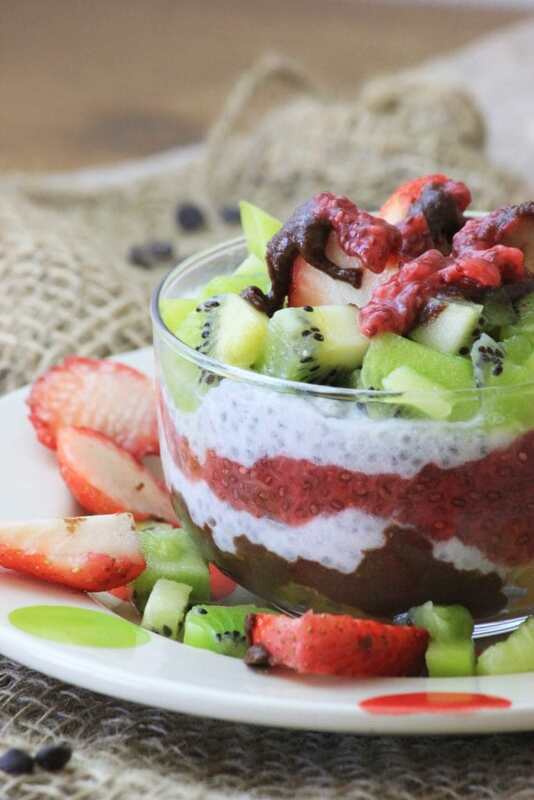 Add 1/4 cup of coconut chia pudding over the nutella. Add 1/4 cup of sugar-free strawberry jam over the pudding. 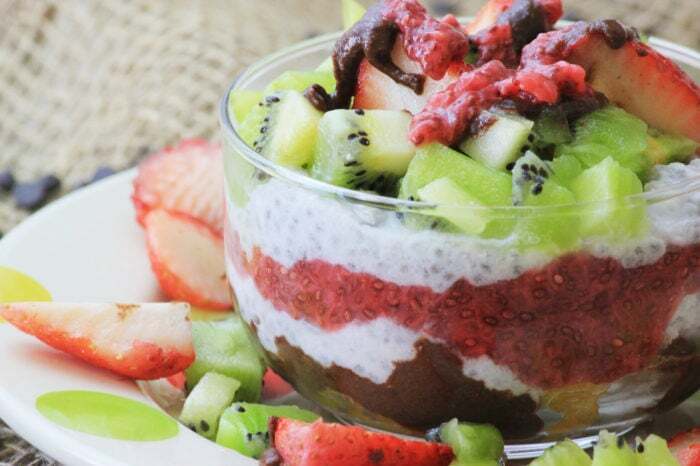 Add 1/4 cup of coconut chia pudding over the strawberry jam. Place 1/4 of the diced kiwis and strawberries over the pudding. 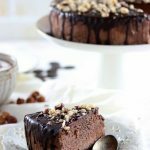 Could I use melted chocolate or cocoa powder instead of nutella?